Michael Flynn, the Trump administration’s first national security adviser, met with Turkish government officials in September to discuss a covert and potentially illegal plan to excise a political enemy of Turkey’s president from the U.S., according to former CIA director James Woolsey. Woolsey confirmed to The Wall Street Journal that he attended a Sept. 19 meeting in New York City in which Flynn and two Turkish government ministers discussed ways to obtain and remove Fethullah Gulen, a Muslim cleric who has lived in the U.S. since 1999. The Justice Department and federal court system would have final say over whether Gulen will be extradited. Turkey’s president, Recep Tayyip Erdogan, wants the extradition as he believes the imam was behind a failed coup attempt in July. Former head of the Central Intelligence Agency James Woolsey, July 20, 2004. REUTERS/Mannie Garcia. Flynn and Woolsey met with the ministers, Mevlüt Çavuşoğlu and Berat Albayrak (Erdogan’s son-in-law), as part of a consulting contract that Flynn’s firm, Flynn Intel Group, signed with Inovo BV, a Dutch shell company operated by a businessman named Ekim Alptekin. In August, Flynn Intel and Alptekin signed a $600,000 contract for three months of work on the Gulen issue. Alptekin ended up paying Flynn Intel $530,000 for the work. 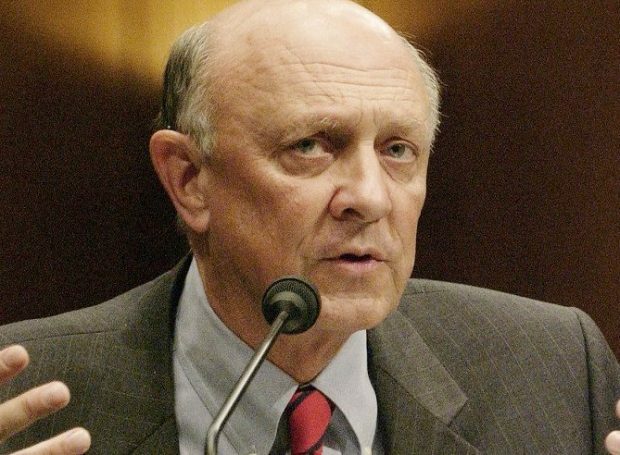 Woolsey said that specific tactics for the covert removal of Gulen were not discussed. If they had, he told The Journal that he would have openly questioned whether the plan was legal. At the time of that first report, the depth of Flynn’s work on the Gulen issue was not known. Alptekin denied in numerous interviews, including with TheDC, that he hired Flynn to work on the Gulen issue. Flynn registered his lobbying activity only with the Senate, which has relatively lax disclosure requirements. 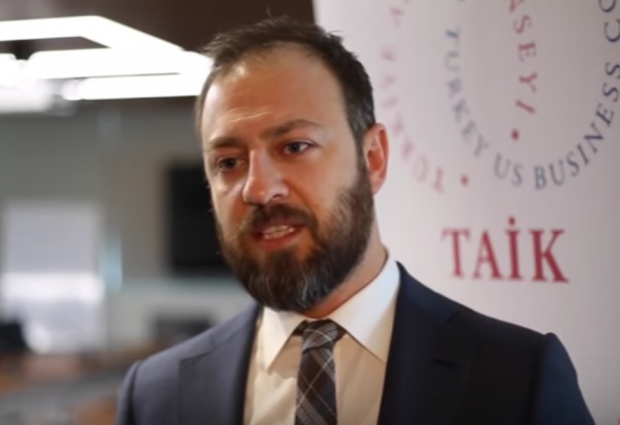 But earlier this month, the retired lieutenant general registered as a foreign agent of Turkey with the Justice Department. In detailed disclosure reports he acknowledged that Flynn Intel’s work likely benefited the Turkish government because it dealt with the Gulen issue, which is a major area of interest for the Turkish government. TheDC also reported that Flynn pledged in his contract with Inovo BV to create an “investigative laboratory” consisting of former intelligence officials, including Woolsey and former FBI assistant director Brian McCauley, to conduct research on Gulen and potentially make criminal referrals in the case. Woolsey told TheDC, through a spokesman, that he did not authorize Flynn to list him as part of an investigative unit. Flynn Intel paid McCauley $28,000 for consulting work, disclosure reports show. Woolsey also told TheDC earlier this month that he received no compensation from Flynn Intel. He told The Journal that he did not accept payment because of what he heard in the Sept. 19 meeting. The White House has said that President Trump was not aware of Flynn’s work for the Turkish government. Flynn, who served as director of the Defense Intelligence Agency under President Obama, was fired as Trump’s national security adviser after only 24 days on the job because he misled Vice President Mike Pence about phone calls he had with Russia’s ambassador in December. Update: Floyd, the spokesman for Flynn, sent TheDC the following statement after publication of this article. The claim made by Mr. Woolsey that General Flynn, or anyone else in attendance, discussed physical removal of Mr. Gulen from the United States during a meeting with Turkish officials in New York is false. No such discussion occurred. Nor did Mr. Woolsey ever inform General Flynn that he had any concerns whatsoever regarding the meeting, either before he chose to attend, or afterwards.